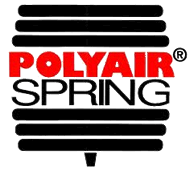 The Polyair Sleeve System is the perfect solution for many 1/2 ton and utes, full size and mini vans and SUV's. 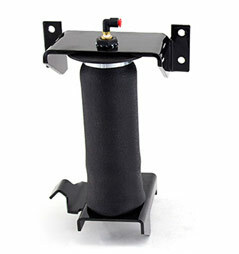 Whether you need to level your load or lower your vehicle to the ground, Air Lift has the solution for you. Choose the air adjustable kit that best fits your needs. 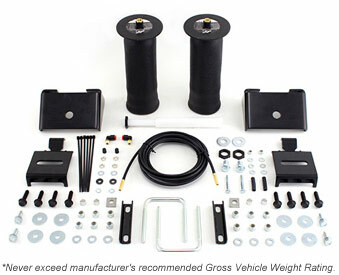 Each kit is complete with everything needed to have your vehicle riding smooth. Keep your ute, van or SUV level and riding comfortably when hauling or towing. Many of today's most popular light-to-medium duty trucks, vans and SUV's. are built for a more comfortable, car-like ride. That's fine when the vehicle is lightly loaded. But add a trailer or all the things people haul for work and pleasure and the vehicle sags and the ride suffers! That's why there's the Air Lift Sleeve System! 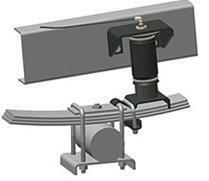 Perfect for many 1/2 ton and mini pickups, full-size and mini vans and SUV's with leaf springs.